Parade Deck Films have just announced that they will release the suspense-riddled survivalist psychodrama The Eyes in theaters across the U.S. on April 7, 2017 and we have your exclusive first look at the trailer. The film stars Nick Turturro (Paul Blart: Mall Cop 2…but don’t hold that against him), Vincent Pastore (The Sopranos), Danny Flaherty (The Americans), Megan West (How to Get Away with Murder), Ana Isabelle (Seasons of Love), Greg Davis, Jr. (Toni Braxton: Unbreak My Heart), Steven Hauck (The Amazing Spiderman 2) and Carly Steel (Mordecai). The film was written by Robert T. Roe and directed by Robbie Bryan. The Eyes will open in at least ten markets across the U.S. with AMC bookings in both Los Angeles and New York. Synopsis: Some say we are only as sick as our secrets but what if our government really knew those secrets? What if they’ve watched every move we’ve made and our secrets aren’t really hidden? 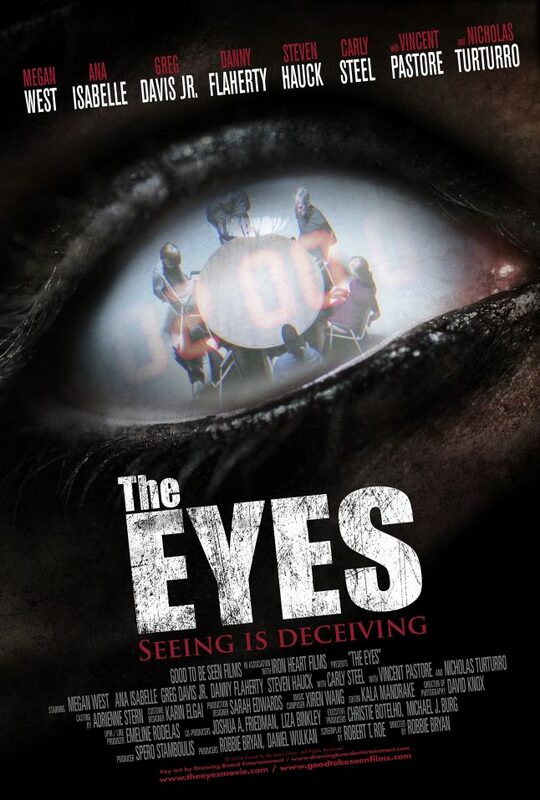 In The Eyes, six strangers with unspeakable pasts wake up imprisoned in an abandoned warehouse and discover they are being forced to participate in an evil governmental experiment. Five must die. One can live. And they have two hours to decide amongst themselves who survives. The clock is ticking and if they don’t decide… they ALL die. The Eyes shows us that someone is always watching. Check out the trailer below and keep your eyes peeled for more on The Eyes on this here website.